WARNING: It is highly recommended that you use a VPN (virtual private network) to hide your IP address and personal information when browsing the deep web. This is an additional security measure that can keep you safe while you navigate the unknown parts of an almost completely unregulated portion of the internet. MacInfo recommends NordVPN to stay safe. They don’t retain logs of their user’s activity, they have great server coverage across the globe and are extremely affordable. 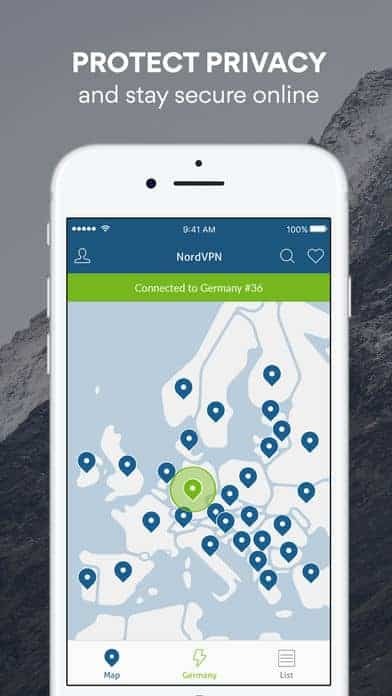 Click here to get access to NordVPN for iPhone & iPads. By now, most people are aware of the “deep web”, but few are aware of what it really means. For most people, it probably conjures images of the notorious “Silk Road” crackdowns from a few years ago. This is only one side of the deep web, however. 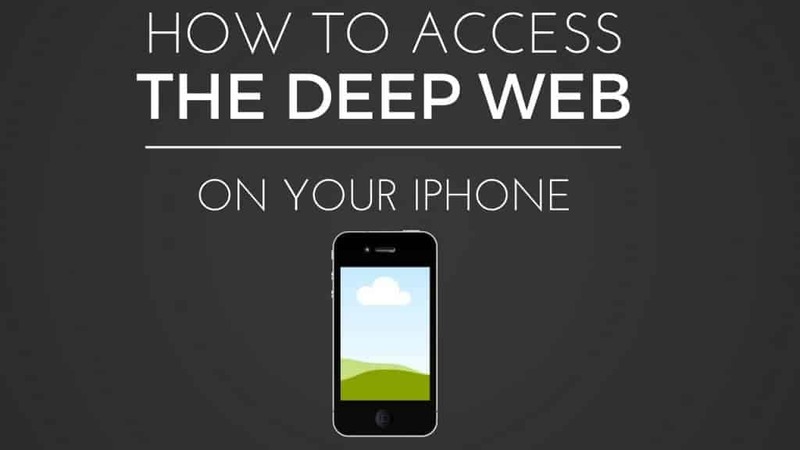 Is there a safe and effective way to access the “deep web” from your iPhone? That’s exactly what we wanted to find out. Whether you’re interested in bypassing certain privacy settings or finding a more effective way to access blocked content, we’ll explore how apps like Tor on iPhone can help you connect to this hidden corner of the internet. The “Deep Web” (sometimes referred to as the “dark web”) doesn’t, in actuality, refer to anything particularly nefarious. The concept behind the deep web is actually pretty simple: it’s the part of the internet that cannot be found via search engines. This includes content that may be locked behind paywalls, or that is password-protected. It also applies to pages that do not have permanent URLs. Most people actually access parts of the deep web everyday without even thinking about it–the messages in your email account, private messages on Facebook, and many other routine internet actions are considered to be part of the deep web. Because such a large amount of data comprises it, it’s hard to estimate the size of the deep web, or the percentage of the internet it makes up, but suffice it to say that it’s big. Why Do People Use the Deep Web? Many people choose to conduct their conversations via the deep web because it offers a better chance of a thread remaining untraced and unseen by prying eyes. Some search engines like DuckDuckGo actually have hidden servers that run on the deep web. While an iPhone VPN (such as NordVPN, which we highly recommend for all users browsing the deep web) offers enough security for many users, for those who want to access deep web sites, these simply are not enough. Hopefully by now we’ve debunked the myth that all deep web browsing is somehow related to illegal activity. However, the question remains: how can the average user access the deep web without compromising their safety? To access the deep web, you need the right browser to navigate the extra security protocols. The next thing you need is a database of hidden sites–one of the most popular current options is Hidden Wiki. We’ve examined what the deep web is, we’ve talked about how to access these sites, but we haven’t yet touched the most important aspect of the conversation: finding the right deep web browser on your mobile device. A simple search through the play store reveals an incredible array of apps that all seem to promise the same thing: easy and safe access to the deep web. However, I’ve been largely disappointed by most of these apps, even some that I paid quite a bit of money for. Here’s what it comes down to, in my opinion: if you’re looking to access the deep web on iPhone, there’s really only one option that provides the speed and safety that you need. That browser is Tor. Tor for iPhone is free and easy to use. This open-source software is a necessity for anybody living in an area that heavily censors internet access. Unlike other apps, it doesn’t require coding expertise to effectively hide your IP address and other personal information from surveillance and would-be attackers. Working in combination with your iPhone VPN, Tor provides you with access to the myriad sites only available in the so-called “dark web”. You can read more about using NordVPN to stay safe while browsing the deep web in this article. 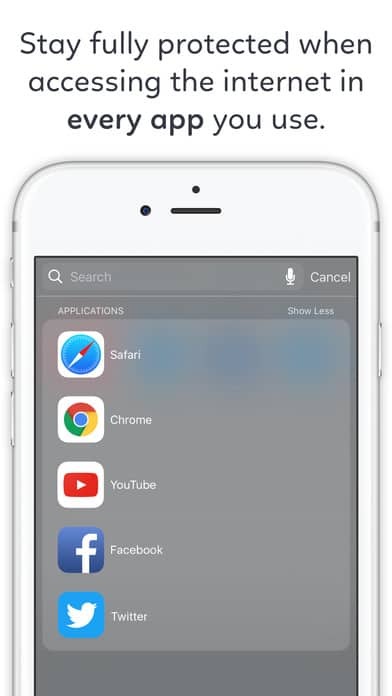 While there are lots of deep web iPhone browser options available, I’ve found that most of these are almost unbearably slow (that is, when they’re effective at all). This isn’t to claim that Tor is somehow as fast as regular web browsing, but it is certainly at the top of the heap when it comes to the browsers currently available for iPhone. Multimedia often bypass Tor and compromise your privacy; video files and video streams are blocked by default and are not supported by Onion Browser. Onion Browser might not work when inside countries or using ISPs that actively block Tor. If the app does not connect, try using bridges or visit the Help/Support page to see what you can do. Onion Browser does not carry any guarantee of successful use. If it’s been awhile since you’ve used Tor, you’ll likely be very happy with some of the changes they’ve instituted, including a better path selection tool. They still offer the same secure, anonymous web browsing that they did before, with improved functionality. As with all similar services, we advise you to use Tor on your iPhone at your own risk. Several regions and countries have found ways to actively block the use of apps like Tor–in some cases, your VPN can get you around this issue, but you should never keep or access highly sensitive information via a mobile device anyhow. For anybody who needs to access deep web information, but still takes their security very seriously needs both Tor and an effective VPN. We wish you the best of luck finding what you need on the deep web, or simply keeping your personal information and communications hidden from prying eyes. Even if you’re new to the whole concept of the “deep web”, Tor is an easy-to-use iPhone app that solves all kinds of security and speed problems presented by other deep web browsers that are currently available. While we do our best to remain unbiased, we doubt that any browser will come along that improves upon Tor’s function for a very long time. We love to interact with our readers – let us know if you have any comments or questions about using Tor on iPhone. Happy surfing!